Excellent clarity in a durable design. 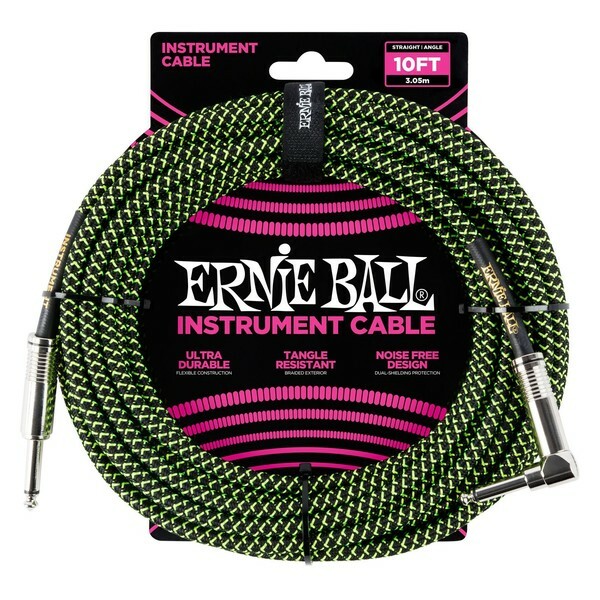 The Ernie Ball 10ft Straight-Angle Braided Instrument Cable is a premium guitar lead fit for both stage and studio. Its dual-shielded design minimises noise, ensuring your signal is always communicated with maximum fidelity. It's road-ready. 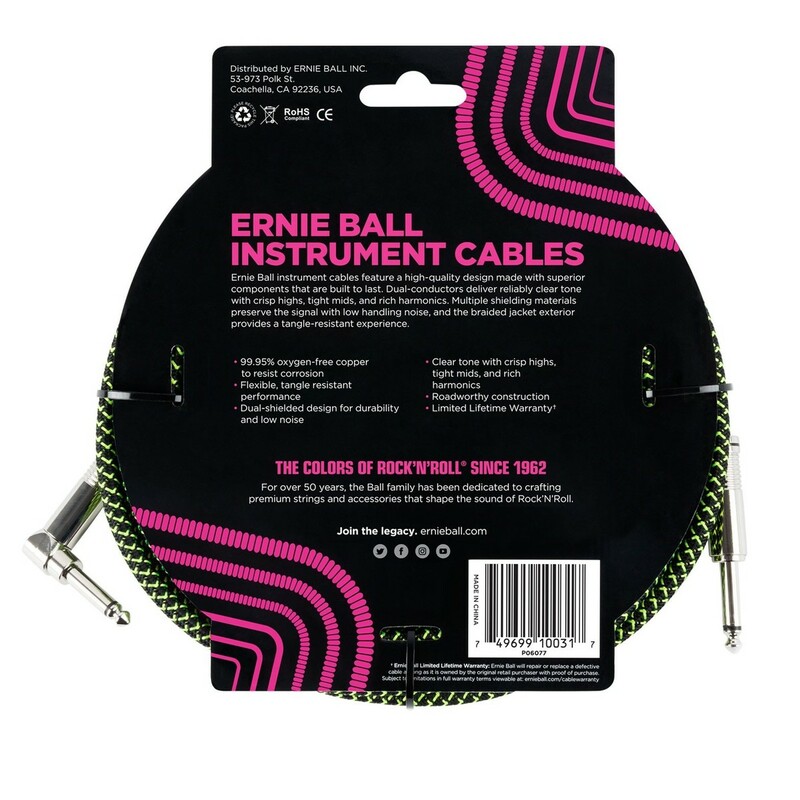 Tough copper wiring won't erode, meaning the cable is long-lasting. So it won't let you down, no matter how much you use it. And braided cloth covering prevents tangling. 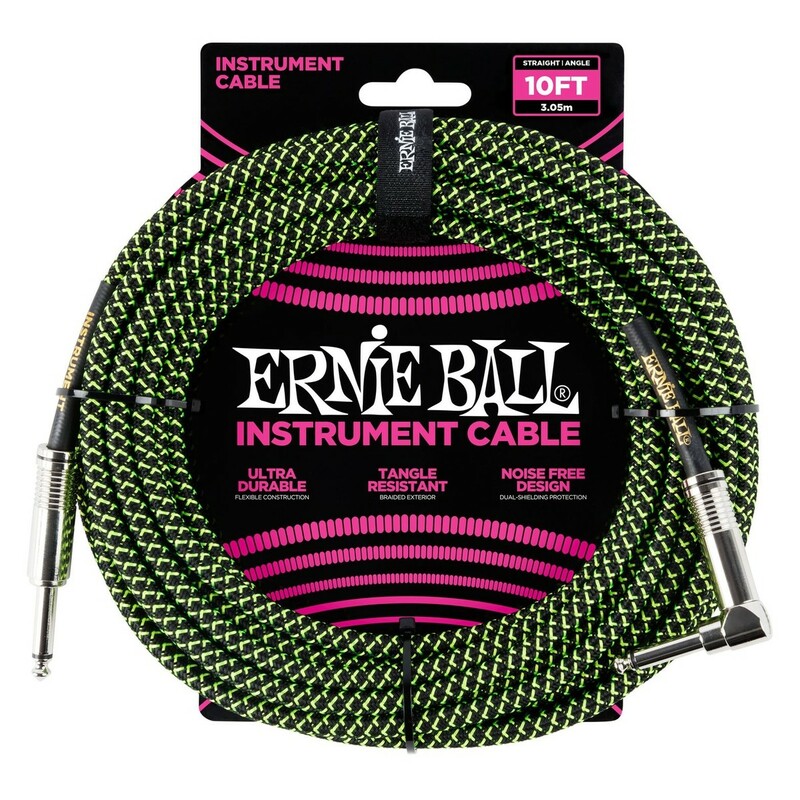 From guitar accessory masters Ernie Ball, this is a cable you can count on to help you perform at your best.